Water is life. There can be a major hazard, if drinking water is not be available. The crops will dry up if water is not available for irrigation. Considering all these things, the Water Resources Department has tried to bring water revolution in the state under various schemes. In order to water the fields, 651 anicuts and stop dams have been constructed in the state. Still 157 stop dams are under construction. The activities of the water resources department can be estimated from the fact that in 2003, the budget of 493.90 crores of rupees was fixed and in 2017-18 a budget of about seven times more i.e. 3155 crores and three lakh rupees has been allotted. This must be known that the state has a total irrigation potential of 20.59 lakh hectare. It was 14.53 lakh hectares fourteen years ago. That is a total increase of 14 percent. Along with the stop Dams and anicuts, work on 440 Laghu Sinchai Yojna has also been done. For irrigation in the state, the construction of three major projects namely, Mahanadi Pariyojan Samuh, Mini Mata Bangi Pariyojan and Zonk Vyarpvartan Yojna have been completed. Likewise, six medium projects like Costeda Jalashya, Kharkhara Mahadipat, Sutia Pat, Karranala Barrage Upper Zonke Pariyojna and Mand Vyarpvartan Yojana have also been completed. At present, Sondur Jalashya Pariyojana, Arpa Bhainsajhar Pariyojana, Kelo Pariyojana and Rajiv Samoda Nisda Vyarpvartan Yojana are under construction. Apart from this, three medium and 418 minor irrigation schemes are under construction. Similar projects have also been created for adequate water supply to the industries, many of which have been completed and others are still under construction. 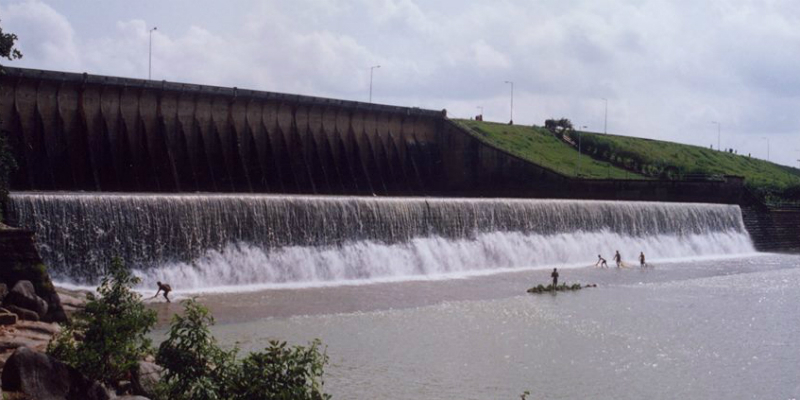 Out of the industrial barrage, the construction of four Barrages( Samodas, Basantpur, Mironi and Kalma) out of six barrages proposed by Mahanadi have been completed. Of these barrages, 21 industries have been allocated 852 million cubic meters of water annually, so that the government can get revenues of 469 million rupees every year and ground water enrichment along with 3,149 hectares of field can also be cultivated. In the state, 35 urban bodies are allotted 188.60 million cubic meters of water from different structures for drinking water. Apart from this, water is given by the rivers every year in several ponds of the various villages. In the year 2017, water was given to save 4557 ponds of 2520 villages from extinction. In the developing new Raipur urban area, two anicuts have been constructed on the Mahanadi near the mound, with a vision of providing drinking water facility by the year 2040. Micro Irrigation Projects are also being worked upon for the proper use of water. Likewise, the State Government has set a target of generating 100% irrigation potential in the state by 2028. This shall be achieved by making irrigation potential in 32 lakh hectares of surface area with available surface water. After the formation of the state, for the first time in 2016-17 we were able to create new irrigation potential in 1,01,795-hectare area. This is the first time in the history of the state. In achieving this goal, 70 projects in Bhagirathi have been completed.